Even though the groundhog saw his shadow earlier this month, spring is not that far away, and with it, mosquitoes and the returning threat of the Zika virus. Over the winter months, medical researchers have been busy working on vaccines against the virus and are reporting significant progress. “The pace of preclinical and early clinical development for Zika vaccines is unprecedented,” said Dr. Dan H. Barouch, of Beth Israel Deaconess Medical Center (BIDMC). Barouch is the corresponding author of a review paper in the journal Immunity, detailing advances toward a Zika vaccine. In a very short time, he says researchers have shown that a variety of vaccine platforms can provide significant protection against Zika virus challenge in animal tests. "However, unique challenges will need to be addressed in the clinical development of a Zika vaccine,” Barouch said. Today, just two years after the first Zika outbreak in Brazil, researchers have focused their attention on three different vaccine candidates that they say have been effective in protecting both mice and rhesus monkeys in laboratory settings. Several human trials began last fall at various sites in the U.S.
“The rapid advancement of Zika vaccine candidates into clinical trials reflects the uniquely focused and effective collaboration among scientists in the field to address this important global problem,” said Barouch. While the symptoms of Zika are not extreme and people normally recover after a few weeks, the virus has devastating effects when a pregnant woman is infected. 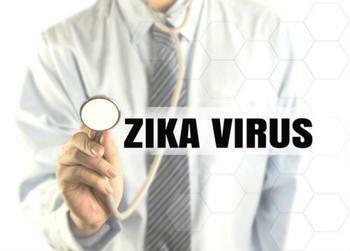 The World Health Organization (WHO) warns that a Zika virus infection during pregnancy is a cause of congenital brain abnormalities, including microcephaly, a birth defect in which the brain is not fully developed. Zika has also been known to trigger Guillain-Barré syndrome. Even with the progress recorded over the last year, Barouch says a lot about the Zika virus remains unknown, which will slow development of a vaccine. Safety considerations, he says, are a key concern since the target population for any vaccine will include women who are pregnant or may become pregnant.